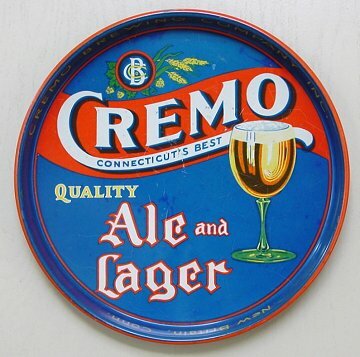 "Cremo Brewing Co., Inc. - New Britain, Conn."
New Britain, Connecticut Comments: A great Cremo tray. Picked this one up from Dan Morean. I hope to get the pilsner glass Cremo version some day too. I do not believe I have seen this tray since I picked this one up.